The Definition Clinic was the first clinic to introduce Zeltiq Coolsculpting to Glasgow and the West Coast of Scotland. This phenomenal treatment is taking the world by storm so for those of you who haven’t heard of Coolsculpting yet, here are a few cool facts about this Ground-breaking procedure. Fact 1: Coolsculpting is the revolutionary non-surgical alternative to liposuction, no incisions, injections, anaesthesia etc. You can now achieve your desired result without the pain, risks, recovery and downtime associated with surgical procedures. Fact 2: Coolsculpting stands alone as the only clinically proven fat freezing technology with built-in freeze detect technology. This unique feature prevents skin freezing and other injuries associated with imitation devices on the market who claim to be “just like Coolsculpting”. Reports have been received of injuries received by copycat devices; these include severe burns which require surgical removal of the affected skin. Fact 3: Coolsculpting targets and eliminates only the fat cells this means that the surrounding skin and tissue is unharmed during the process. Other treatment options such as laser treatments, radio-frequency and focused ultrasound affect fat cells but may also affect other adjacent tissue in a way that is not comparable to Cryolipolysis. Fact 4: It works; clinical studies on hundreds of patients have shown that the procedure is an effective way to reduce fat and over 1 Million Coolsculpting procedures have been carried out worldwide. 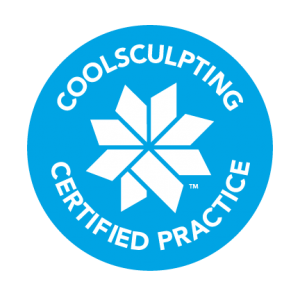 Coolsculpting boasts a 95% patient satisfaction ranking. Fact 5: Coolsculpting is quick, clean and discreet, it’s a walk in walk out procedure, it takes 1 hour to treat a single area and no-one will know you have had a procedure unless you choose to tell them. At the Definition Clinic we have treated many high-profile patients who appreciate that we are discreetly placed within the award-winning Berkeley Clinic. Fact 6: The technology, created by American company Zeltiq, has been subjected to rigorous testing and Coolsculpting is the only non-surgical fat reduction technology which uses the patented Cryolipolysis. If you are offered Cryolipolysis, and it is not Zeltiq Coolsculpting, then run, you’re just about to be treated by a fake machine. 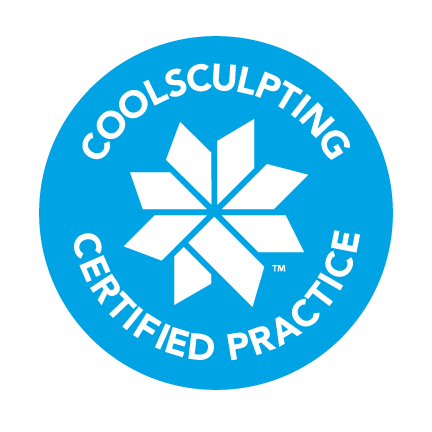 Fact 7: Coolsculpting is clinically proven safe and effective; the procedure has achieved FDA (Food and Drug Administration) approval and is CE marked as a Class IIa medical device. Fact 8: Coolsculpting is suitable for everyone regardless of age, gender, ethnicity or body type. Patients are required to be over 18 years of age unless referred by a Doctor and accompanied by a parent. Fact 9: The Coolsculpting procedure removes 20 – 40% of fat from the treatment area and the cool part is that the body doesn’t replace the fat cells removed. Results will be maintained if the patient continues with their normal diet, routine and activities.